With Passover almost upon us, it’s time to think about counting Omer. “Counting the Omer” is the 49 day ritual counting of the days between Passover and Shavuot, starting on the second day of Passover. 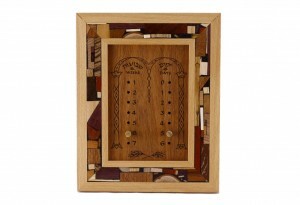 These wooden Omer Counters, with their unique artwork designs, are set inside an Etz-Ron’s signature multi wood mosaic frames. Over 35 different woods are used to create the mosaics, with no stains or dyes! Each frame is unique as the mosaics are all hand inlaid. The artwork is lasered onto a separate piece of wood and inserted into the frame. In the artwork, there are numbered holes for the days and weeks, and of course pins to go into the holes. You just move the pins as you recite the words of the blessing. 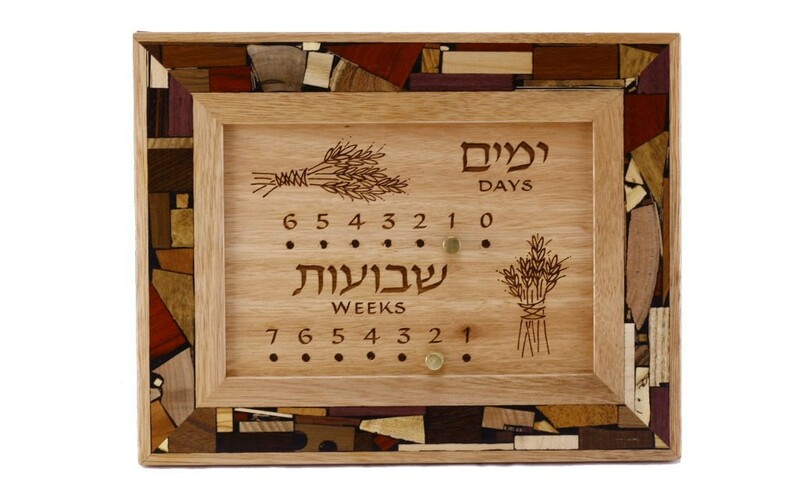 This system helps you to keep track of the days and weeks of the Omer, in an easy, intuitive way. 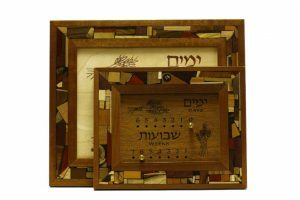 There are two sizes to choose from; a smaller, compact home size that can sit on a counter top or hang on the wall, and a larger size suitable for hanging on a wall of a synagogue or place of worship. There are also two designs to choose from, “wheat” (in landscape format) and “arches” (in portrait format). The omer counter makes a very special, meaningful bar/bat mitzvah gift or for any person counting the omer! For more info and ordering click here to see the home omer counter or the synagogue sized omer counter. These wooden omer counters can also be custom made, wood choices and sizes to fit your needs. Contact me!